It’s hard to believe that there are only eight days left in 2013 — my, how the year has flown. May all TDS customers and readers have a holiday filled with fun, family and festivities. 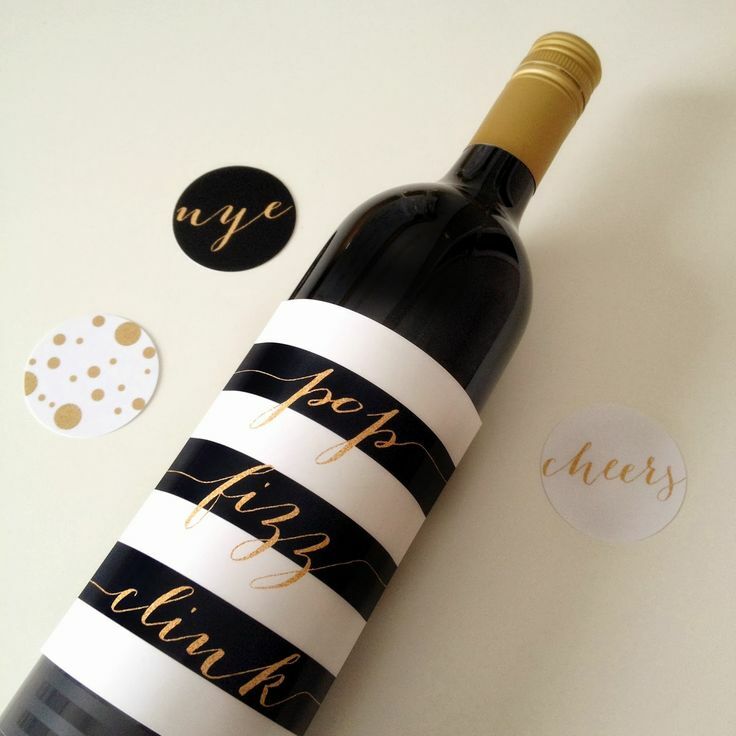 This week’s “Seen on Pinterest” post details some of our favorite ways to ring in the 2014 in style. We love the idea of sharing (or at least writing down) your New Year’s Resolutions and sharing them with family and friends during the last few moments of 2013. Put your resolutions on the wall, playing cards, or coasters … just try to stick with them for longer than a few weeks! Going out to a party? Wow your hostess with a festive DIY bottle label or this adorable (and easy) clock themed array of cupcakes. Need outfit inspiration? Skip the sparkly dress and make these totally re-wearable DIY Glitter Heels instead. Hostess with the mostest? You’ll want to keep the crowds full (of bubbly cocktails) and fueled (with festive food) until midnight. These mini brie bites are perfectly bite-sized and shockingly easy to prepare. Or, go with a themed selection of glitter hors d’ouerves. 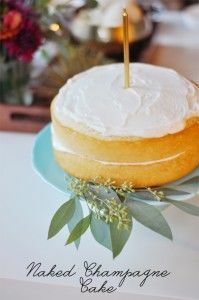 A champagne cake or champagne cupcakes keep the “bubbly” theme going all night long. 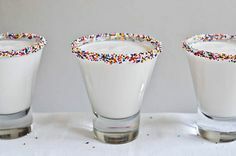 Try this guide to champagne cocktail infographic, this festive shot with sprinkles on top, this sparkling cinnamon punch, or this ginger sparkler — which is also a perfect New Year’s Day brunch cocktail. You may also want to invest in the recipe for this hot chocolate french toast. Your diet can begin on January 2. But what about decor and party favors? Never fear, we’re here to help. These 10 ideas for New Year’s Eve at home with kids are fun for any age. 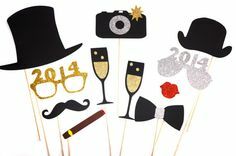 We can’t get over the simple yet oh-so-effective idea of an “11:58 PM” jar of mints for midnight kisses, this glittery “cheers” banner or these whimsical props for your 2014 New Year’s Eve photos. We hope you have a great end to 2013 and an even better start to the New Year!